Let’s assume that you want to cut spending on end-of-life medical expenses–maybe the last six months? In 2026 one of Medicare’s two trust funds will be depleted. Since the fund will no longer be there to cover shortfalls, revenue will cover 91% of the program’s estimated expenditures. 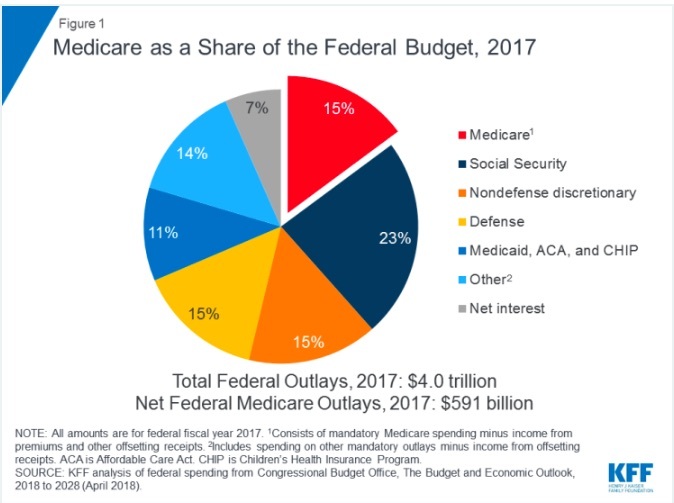 Because Medicare spending could rise to 18% of the total federal budget by 2028, we should worry if it will drain federal funds targeted elsewhere. 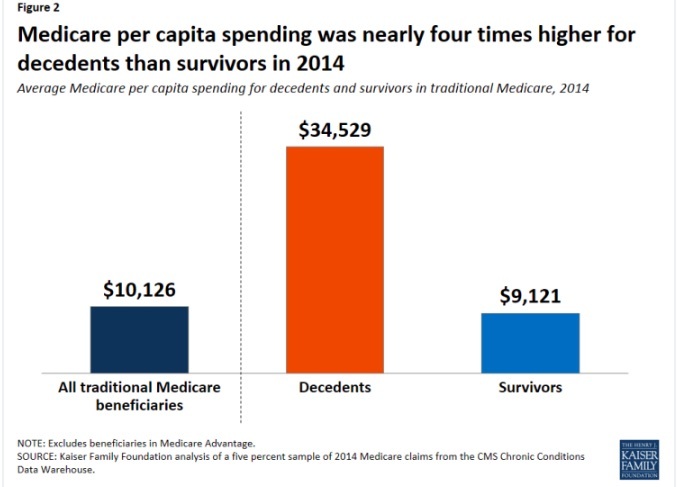 So, can we save some Medicare money by diminishing end-of-life spending? 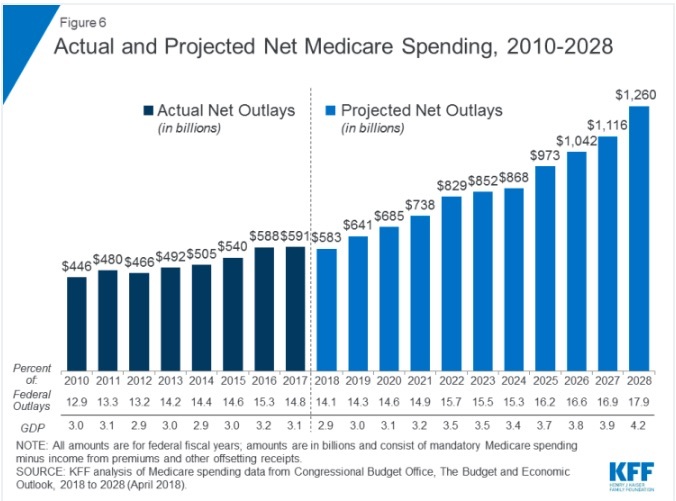 After all, one-quarter of Medicare spending is for that final year. A new MIT paper suggests the answer is no. Its reason? Since we don’t know who will die, we cannot identify on which people to spend less. Most of us imagine an end-of-life medical scenario where the tubes are connected, the person is in a coma, tearful loved ones surround the bed, and there is no chance for a return to the living. But we can move back several weeks or months for a very different prognosis. Months before that, there was no way to know if death was imminent–no way to know to cut spending. Among those who do die, 40% had the probability of death within the year. Yes, we do spend a lot on those who are very ill. And they are among those who die sooner. But they are not necessary the people who do soon die. It might be helpful to imagine that skiers like to say that accidents happen during the last run of the day. But yes, if there is an accident, it will be the last run. Similarly, for Medicare, that last run is death. But before that, we just don’t know who is having that ending. My sources and more: Always a valuable resource for medical spending, Austin Frakt had this NY Times Upshot column and KFF had some spending facts. From there, Frakt’s links included this NBER paper and this study from Science (gated) on retiree lifetime medical expectations. But I just suggest this summary for more detail and our six facts on Medicare here. Please note that I repeated the skiing example that MIT Professor Amy Finkelstein cited when discussing her study on end-of-life spending.